Pre-Examination circular Summer-2019. Summer-2019 Exam Final Time Table. Hon. Secretary visit at MSBTE office on 15/4/2019. Dignitaries seen are Hon. Shri. 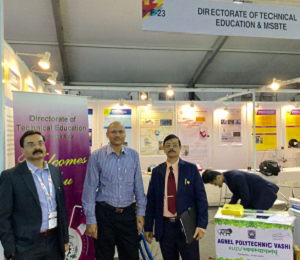 Saurabh Vijay, Secretary, H&TE, Dr. Vinod Mohitkar, Director, MSBTE, Shri. V.R. Jadhav, I/C. Secretary, MSBTE and other officials of MSBTE. A MoU inked in the presence of Hon. Minister of Higher & Technical Education, Shri. Vinod Tawde by Dr. Vinod Mohitkar, Director, MSBTE and Mr. Joydeep Dutta, Executive Director & Group CTO, CDSL on 11.05.2018 at Mantralaya, Mumbai for facilitating lodging, authentication & verification of academic awards of diploma students through National Academic Depository (NAD). Hon. Shri. Vinod Tawde, Minister, Higher & Technical Education, M.S. at the MSBTE stall at Career Vision fair held at Borivli, Mumbai on 3rd June 2018. 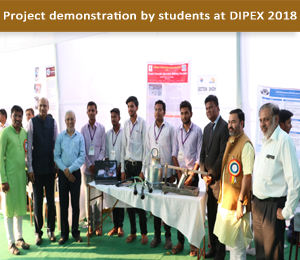 Also seen are Dr. Abhay Wagh, Director, Technical education, Dr. Vinod Mohitkar, Director, MSBTE, Mr. Pramod Naik,Jt.Director,Tech.Education, Mr. Anand Mapuskar, Career Counsellor and others. Dr. Vinod Mohitkar, Director MSBTE addressing at Sensitization Workshop for preparation of Perspective Plan of MSBTE held on 8/9/2018 at D.Y. Patil Polytechnic, Pune. The dignitaries seen are Dr. V.G. 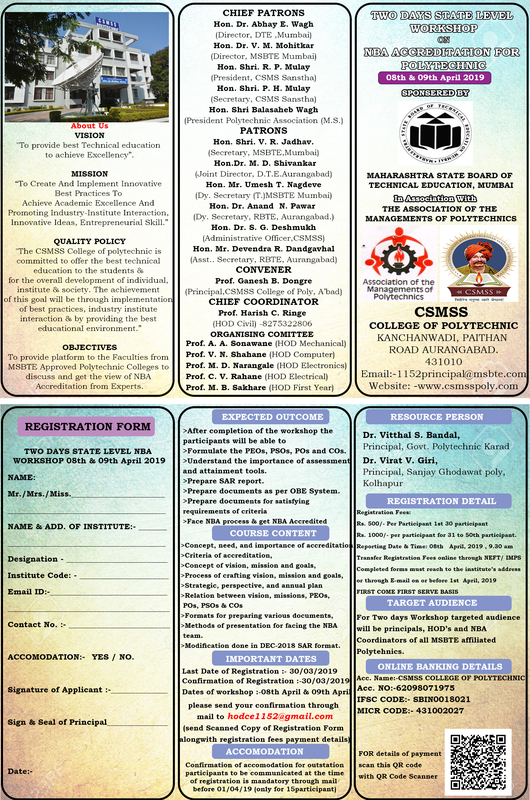 Gaikar, Vice Chancellor, Dr. Babasaheb Ambedkar Technological University Lonere, Dr. Nandanwar, I/c. Jt. Director, Technical Education, RO Pune & Shri V.R. Jadhav, I/c. Secretary, MSBTE Mumbai. 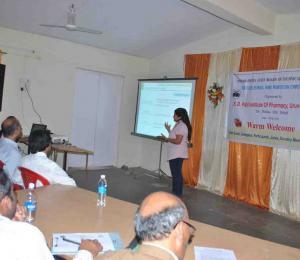 Unveiling the Proceedings of State Level Paper Presentation 2017-18, Volume I at Sensitization Workshop for preparation of Perspective Plan of MSBTE held on 15/9/2018 at G.H. Raisoni Polytechnic, Nagpur. The dignitaries seen are Dr. V.G. 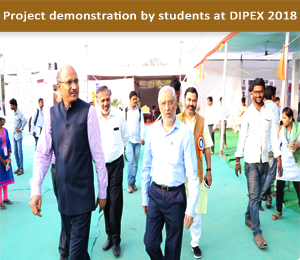 Gaikar, Vice Chancellor, Dr. Babasaheb Ambedkar Technological University, Lonere, Dr. Vinod Mohitkar, Director, MSBTE, Mr. G.R. Thakre, Jt. Director, Technical Education, RO Nagpur and Mr. Arunkumar Khobragade, Managing Director, Ras Frozen Foods Pvt. 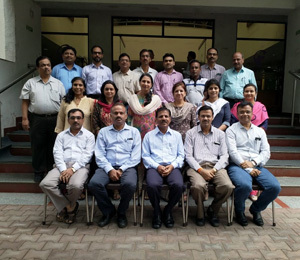 Ltd., Nagpur & Member, Governing Board of MSBTE. Dr. B. N. Jagatap, Former Distinguished Scientist and Director, Chemistry Group, Bhabha Atomic Research Centre & Professor, IIT Mumbai is being felicitated by Dr. Vinod Mohitkar, Director, MSBTE at Sensitization Workshop for preparation of Perspective Plan of MSBTE held on 19/9/2018 at VES Polytechnic, Mumbai. The dignitaries seen are Mr. Amit Haware, CEO & Joint MD, Haware Properties, Navi Mumbai & Member, Governing Board of MSBTE and Trustees of VES Polytechnic. Hon. Shri. 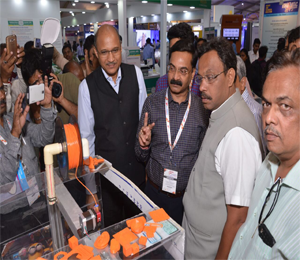 Vinod Tawde, Minister, Higher and Technical Education, Maharashtra State, confirming for himself the working of an innovative solar cycle made by Diploma students at the Technical Education stall during Magnetic Maharashtra Convergence on 18th Feb.2018 as Dr. Abhay Wagh, Director, Technical Education, Dr. Vinod Mohitkar, Director, MSBTE and other officials and innovators keenly watch. 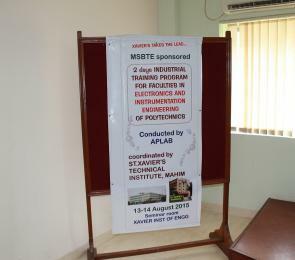 MSBTE Online Activities involves Display hall Ticket, Emarksheet, Exam forms, Affiliation, COB etc. Latest news from MSBTE are available here. 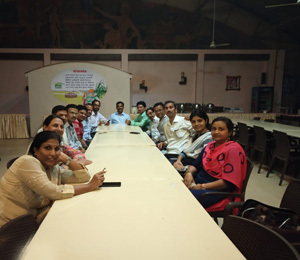 Maharashtra State Board of Technical Education (MSBTE) is an autonomous Board of Government of Maharashtra mandated to regulate matters pertaining to Diploma Level Technical education in the state. Curriculum development- it’s efficient implementation strategies through faculty development programs, student development initiatives, industry-institution interaction, Academic monitoring and various online evaluation activities have been the significant insignia of MSBTE. In the recent past, MSBTE has made its foray into skill development activities, thus broadening its horizon and area of service. However, the revision of curricular to suit the essentially of industry as expected from diploma students had become a dire need and of late a very important parameter for employ ability which has been accomplished and implemented from the academic year 2017-18. To promote Inventiveness, creativity, remove stage fright and to boost the talents of Students, MSBTE conducts State Level Technical competitions..
© This is the official website of Maharashtra State Board of Technical Education, Mumbai,India. Best viewed at 1024 X 768 resolution. Browser support Mozilla Firefox 2.0 & above , I.E 6 & above. (W1).